This is an IHRSA featured article, brought to you by Exerp. By promoting an entrepreneurial mindset, you’ll empower your team to build relationships and boost sales. It’s 3 p.m. Your club is quiet, but soon the after-work rush will begin storming the gym. Then you receive a call from a group trainer who runs one of your most popular classes—something has come up and she has to cancel. What do you do? Do you call a replacement trainer to conduct the class? (Good luck getting one on short notice.) Do you place a sign at the front desk announcing the class has been canceled, disappointing a dedicated group of members, many of whom fought through difficult rush-hour traffic to attend their favorite class? Do you post a notice on social media and hope members see it in time? There are no good options. Last-second cancellations, rescheduled classes, and other disruptions stress not only club owners but the entire front staff and other club employees. Wouldn’t it be better if the trainer was able to directly contact other instructors via a quick text so the class won’t be canceled? Many club owners have digital messaging services, but often these capabilities aren’t available to specific instructors and club staff. In other words, all communication goes through a single point of contact: the general manager or club operator. Just like scheduling and member communications, payments from members purchasing training sessions are often processed only by sales reps, not trainers themselves. This can create friction that slows down transactions, which costs you revenue. It’s time to empower instructors and other staff by providing them with digital tools that not only allows them to communicate directly with members, but to promote, recruit, and communicate whenever and wherever they are. It’s about creating an entrepreneurial mindset within your trainers and employees. If done correctly, the rewards are enormous. Kate Golden, director of people and fitness operations at Newtown Athletic Club in Newtown, PA, stresses the importance of an onboarding program for trainers and employees that’s people-centric. It’s about building relationships. Newtown wants their trainers to use their chosen digital platforms to bond with members. Golden believes that their club’s employees are the best messengers for their brand. If you hire correctly and execute a thorough onboarding campaign that’s consistent with your culture and brand, then you simply get out of the way and let the trainer do his or her thing. “In the final analysis, if you let your trainers know that you’re invested in their success—they’ll invest in yours,” Golden says. 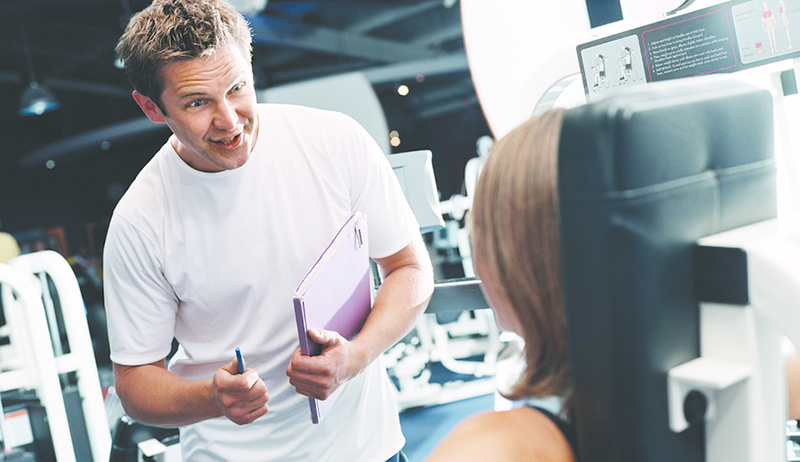 Many personal trainers today are well-versed in building their own brand and following. If you can tap into that entrepreneurial spirit, then it can work in your favor in a big way. Not every trainer is comfortable with sales and self-promotion, but if you can give them the tools to communicate in a way that works for their personal style, then the sales will come. The same principles hold true for group instructors. Whether it’s small group training (SGT) or larger classes, trainers need to see their success as inextricably linked with the club’s overall success. Clubs need to give trainers the tools necessary to raise their visibility and forge stronger bonds with members. To incentivize trainers and staff employees, they have to be able to complete the sales process without the extra step of getting salespeople or club managers involved. If your staff doesn’t have these capabilities, you need to seriously consider changing your digital strategy. Remember that club owner who got that call at 3 p.m. from a group instructor canceling her class? Wouldn’t it be great if that group trainer had an app where she could directly connect with her colleagues to see if somebody can replace her? They could with the Exerp Staff App. Created by Exerp, a global IT specialist in member management software for the health and fitness industry, the Exerp Staff App gives trainers and club employees a powerful platform to build relationships with members that will drive revenue through attendance recording, retention, and brand enhancement. The Exerp Staff App can do wonders for your revenue by removing that central friction point that can slow down scheduling and payments. Instructors can manage appointments, track attendance, handle bookings, and do it anywhere. Suddenly, the world is at your fingertips. 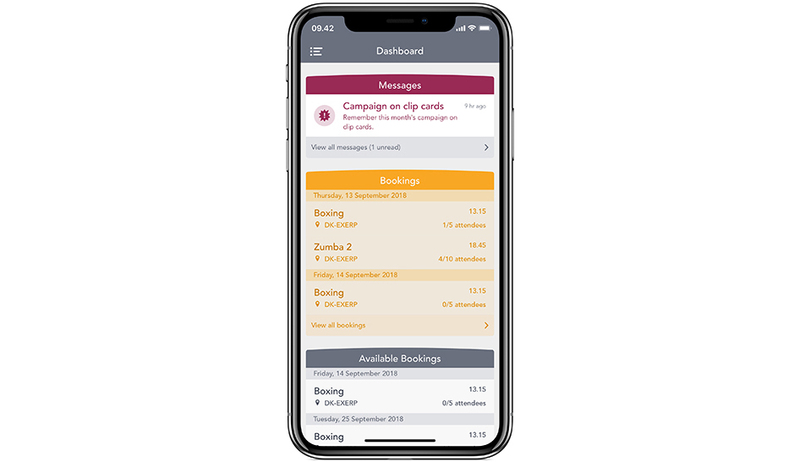 With the Exerp Staff App, team members can swap classes with each other and check-in or remove members from training sessions on the spot. And with so many clubs hosting events and workouts in outside locations, the app allows instructors to easily organize these events in any location with their mobile device. With the Exerp Staff App, you’re unleashing a team of entrepreneurs within your club. You’ll not only boost profits, but improve efficiency. By empowering team members, you’ll have more time to concentrate on the bigger picture. Visit Exerp’s website today for more information on their Exerp Staff App and other innovative products for your club.